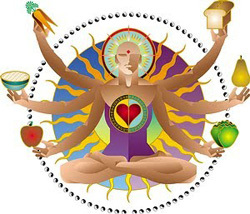 Heal yourself and others with Internationally certified yoga teacher training in India!! 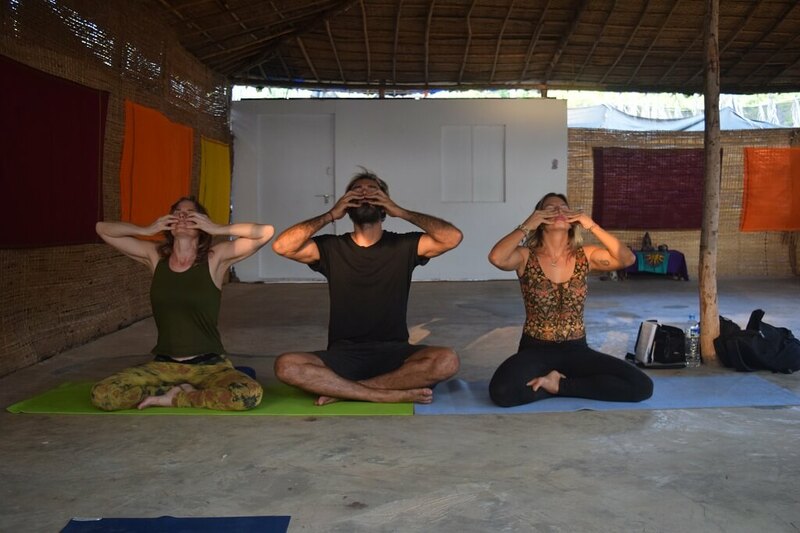 Join us on the journey of learning this deep and mindful form of Yin Yoga in our Yin Yoga teacher training Goa, India that offers a gateway to achieving health for the whole body, mind and soul!! !We practice Yin Yoga in a healing focus that works on regenerating your tissues and joints, improving the function of your organs, rejuvenating your nervous system and revitalising the energy flow in your body.If you dedicate yourself into serious practice of Yin Yoga with our internationally certified yoga teacher training in India then you will experience deep relaxation of your body, emotional healing, balance of mind-body and profound changes in your life.If you practice physical forms of yoga such as ashtanga or vinyasa yoga, then Yin yoga will immensely benefit your practice by increasing your flexibility, physical control and concentration in your practice. Yin yoga also provides a good foundation for kundalini yoga and higher meditative forms of Yoga like Kriya and Raja Yoga. ic,goal oriented andmasculine energy of the sun. Ancient knowledge teaches us that in order to return to a state of wholeness and health we need to balance Yin and Yang energies. In Western societies, we lead a Yang lifestyle full of tempo and stress. Our lifestyle creates imbalances that manifest itself at the physical level of the body in the form of muscular pain, stress, malfunctioning organs and heart problems. In an attempt to remedy these imbalances we turn to the active ‘yang’ forms of yoga, which only helps partially because theykeeps up the high pace and stress level on the body. What you need is may well be the opposite of what you feel you need. The remedy against depression, stress and burn out is to apply the opposite slow energy of ‘Yin yoga’. Unlike the physical ‘Yang’ styles of Yoga ‘Yin’ Yoga reaches deeper and deeper into your body and mind. It provides complete relaxation to your body and gives to your heart, joints, tissues and organs the life force (‘prana’ or ‘chi’) which they need to heal. Western medical system is geared to cure diseases. Serious practice of Yin yoga creates a basic foundation of health of body and mind which prevents these diseases from occurring. 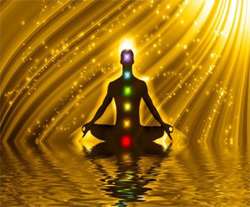 It revitalises the energy flow of your body by activating your chakras. It improves the internal working of your organs by working on the meridians connected to your organs. Yin Yoga adopts easy postures which are held over a longer period of time, from2 minutes Beginner’s) to 20 minutes (Highly advanced). Any student who is enthusiastic and serious about learning this healing and profound form of Yoga can join. No prior teaching experience with yoga is required. Yin yoga can be practiced at many different levels. Whether you have practiced power yoga and taught yoga for many years or you are an absolute beginner, you will benefit immensely from this course. If you are already a Yoga teacher then you may wish to connect with people by emphasizing the healing and meditational aspects of yoga. 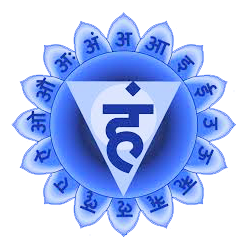 If you are a beginner thenyou may wish to begin your Yoga path with this deep mindful and healing form of yoga or you may simply just wish to follow this course because you hold a desire to heal yourself and others. Live Skype/video chat session with our lead teacher for the relevant course to ascertain your learning objectives, goals,readiness and prior preparation. Online registration and payment, if approved to do so by the lead teacher after the step 1. Note: Above steps are to ensure that you are well prepared and have understood teachers, course philosophy and Yoga school’s expectation from its participants.These steps are not an exam. We believe readiness and intent would take you a long way to succeed and make the most of your time,money and effort for this learning project with us. We do not encourage absolute beginners to join our Yoga teacher training courses for above justified reasons unless they commit to come prepared and show strong intent to apply themselves during the course. 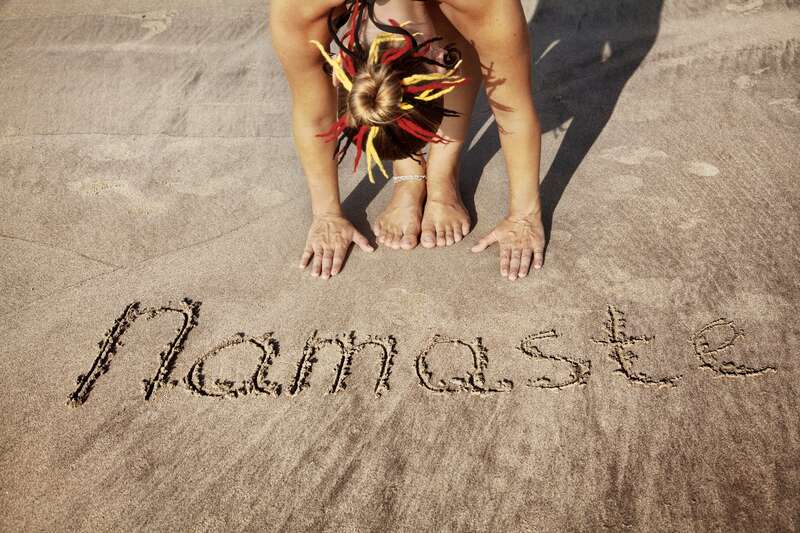 Why you should choose a course at VishuddhiYoga? We expect you to follow the discipline and code of conduct being laid out for students and participants;we don’t allow non-vegetarian food, smoking and drinking alcohol in the Yoga school’s premises. It is advised to abstain from sexual and sensual pleasures during the training. You should live with simplicity in a pure Yogi way. You are also advised to come with minimum issues and emotional baggages. Try to avoid all the distractions during the training for deeper immersion. We also advise you to avoid useless chatting and engage yourself in personal and group practice. You must be respectful to other mates and teachers in the Yoga center. Last but not the least, you must be open to learn and remain focused on the course only and nothing else. Note: Terms and conditions applicable for special offers. Kindly engage us personally for special offers at the time of inquiry and registration. This comprises of learning by practicing and also understanding through teacher’s instructions and experience when it comes to corrections and proper alignments. Here you would learn our official Yin Yoga sequence for 60 minutes and 90 minutes with proper instructions and demonstrations along with other methods. On successful completion as per the standards of the school, students would be awarded with certification on the last day of the course. People can fail the course if they don’t perform, so be prepared to put your heart, mind and soul along with efforts.